Watch as the Princess spins thread on her gilded Weaving Wheel. Play with this set on its own or combine it with any other Playmobil set. 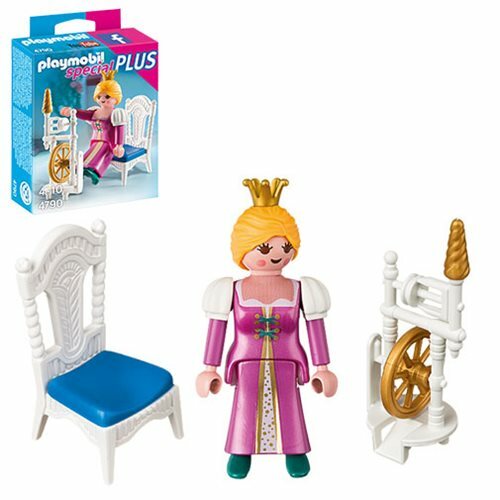 Set includes princess, crown, weaving wheel, and chair.